In Santa Fe, New Mexico, the downtown plaza is a beehive of activity. Tourists from the United States and around the world are swarming in and out of the numerous eateries, galleries, gift shops and clothing stores that offer everything from antique Navajo conch belts and meticulously woven blankets (for thousands of dollars) to pure unadulterated kitsch and the latest examples of Santa Fe chic. But there is another Santa Fe just two miles away atop the picturesque summit known as Museum Hill. It's a peaceful enclave that showcases the collections and rotating exhibitions of four world-class museums: the Museum of Spanish Colonial Art, the Museum of Indian Arts and Culture, the Museum of International Folk Art and the Wheelwright Museum of the American Indian. The day I visited, except for a group of rambunctious youngsters enjoying an arts-and-crafts outing, the mood was serene. A guitarist was playing al fresco in front of the Museum Hill Cafe. A soft breeze was wafting down from the nearby Sangre de Cristo Mountains. Birds were chirping and the vistas were expansive, accentuated by great billowing clouds that are a signature of summer in Santa Fe. It felt a world away from the souvenir-buying frenzy of the plaza. Sadly, many visitors to Santa Fe never find their way to Museum Hill, either because they are unaware of its existence or they simply become too obsessed with the multiple distractions downtown has to offer. For whatever reason(s), they're passing up a chance to view some of the finest examples of Native American art in the region, both historic and contemporary, including painting, sculpture, jewelry, basketry, pottery, wood-carving and weaving. 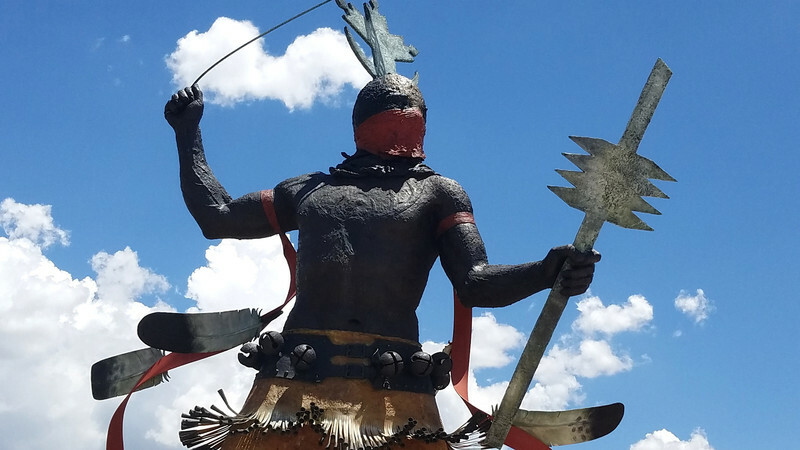 They won't learn about the fascinating confluence of cultures (Native American, Spanish and American) that made Santa Fe the hub city of the Southwest. And they will never know the pure joy of experiencing "Multiple Visions," the permanent exhibit at the Museum of International Folk Art that features the most remarkable tableaus created from the vast collection of international toys and figurines amassed by Alexander Girard. 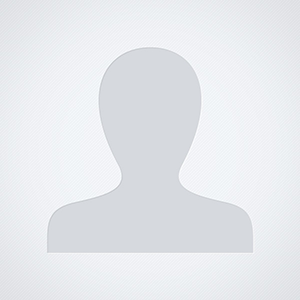 Girard is best known for his work as the graphic artist and architect who, in the 1960s, helped redesign and rebrand Braniff Airlines by introducing a distinctive fleet of single-colored airplanes. A collector with a capital C, Girard collected folk art in quantity. But by the late 1970s his collection was all but out of control and desperately in need of a new permanent home. His donation of more than 100,000 pieces to the Museum of International Folk Art required the construction of a new wing, which Girard designed. "Multiple Visions" and the Girard Wing opened in 1981 to feature display after display of meticulously arranged folk-art scenes — an entire world in miniature. The amazing thing, a docent at the museum told me, is that the enormous gathering of toys and figures that make up the displays represents only 10 percent of Gerard's entire collection. Another example of artistic obsession now on display is "The Morris Miniature Circus." Constructed over a period of 40 years by W.J. "Windy" Morris (1904-78) of Amarillo, Texas, this 3/8-inch scale model of a traveling circus was acquired by the Folk Art Museum in 1984 and first exhibited in 1986. Then it disappeared into storage for 30 years. Re-created in all its glory, Morris' creation celebrates the golden era of railroad circuses in the 1930s, when "the Greatest Show on Earth" would arrive by rail, set up its tent city in a day, perform, pack up and move on to the next destination. The circus, consisting of an estimated 100,000 pieces, was made entirely by Morris through a variety of techniques, from woodcarving and painting to clay-modeling and mold-making. There are throngs of people, acts under the big top, a sideshow and midway, horse-drawn cages filled with wild animals and a parade of ponderous pachyderms. Come one. Come all: www.internationalfolkart.org. Founded in 1925, the Museum of Spanish Colonial Art was established to showcase Hispanic art from southern Colorado and New Mexico. But over time the museum's scope, as well as the depth of its collections, has expanded to include an extensive gathering of Spanish Colonial objects dating from medieval times to the present. The museum, which is the repository for more than 3,700 artifacts and works of art, is housed in a classic example of Spanish Colonial architecture. It was designed by John Gaw Meem (1894-1983) the Brazilian-born, Santa Fe-based architect best known for advancing the "Pueblo Revival" style. For details about the museum's collection and current exhibitions: www.spanishcolonial.org. The Museum of Indian Arts and Culture focuses on telling stories of the peoples of the Southwest through the lens of their art and objects, from prehistoric to contemporary. The changing exhibitions reflect the diverse nature of Native American art, from painting, sculpture and pottery to silverwork, Kachina carving, basketry and weaving. The spacious facility also includes the Living Traditions Educational and Museum Studies Centers: www.indianartsandculture.org. The Wheelwright Museum holds the distinction of being the oldest nonprofit private museum in the state of New Mexico. Housed in an octagonal building that takes its inspiration from the classic design of the Navajo hogan, the Wheelwright Museum is noted for its displays of exemplary artwork from the pottery of Maria and Nampayo to the most modern artists. The Case Trading Post, which stands as the museum's gift shop, offers some of the finest contemporary art and crafts created in the Southwest: www.wheelwright.org. At any point in the day, it's wonderful to take a break and simply enjoy the serene atmosphere of Museum Hill and the food served at the Museum Hill Cafe. There is no better place to sip a glass of wine in the afternoon and watch the thunderheads as they form over the mountains. A shuttle operates between downtown and Museum Hill: www.santafenm.gov/santa_fe_pickup_shuttle.
. Craig Dan Goseyun's towering sculpture, "Apache Mountain Spirit Dancer," stands before the Museum of Indian Arts and Culture in Santa Fe, New Mexico. Photo courtesy of Jim Farber. 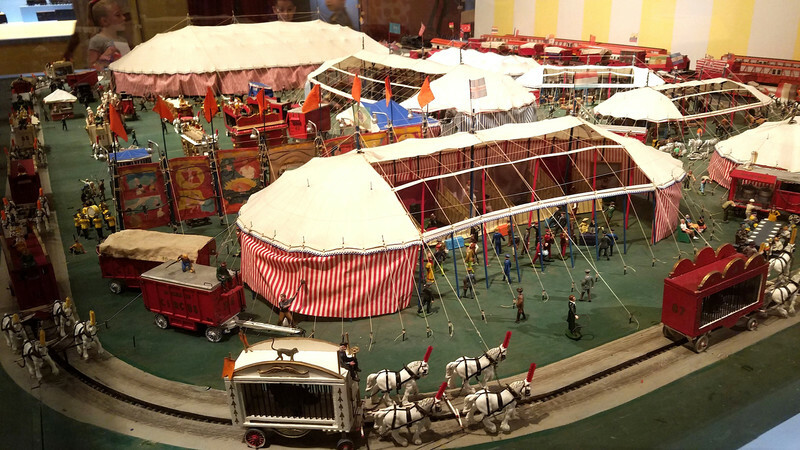 The remarkable Morris Miniature Circus is one of the highlights at the Museum of International Folk Art in Santa Fe, New Mexico. Photo courtesy of Jim Farber. Jim Farber is a freelance writer. To read features by other Creators Syndicate writers and cartoonists, visit the Creators Syndicate website at www.creators.com.